After dating for two years and a brief spilt, the Dallas Cowboys superstar revealed to TMZ he shouldn't have popped the question to his reality TV star beau. "I have made the decision to call off the engagement and permanently end the relationship I had with Draya," he told TMZ Sports. "In hindsight, it was a poor decision to propose. I am anxious to move on with my life both personally and professionally." 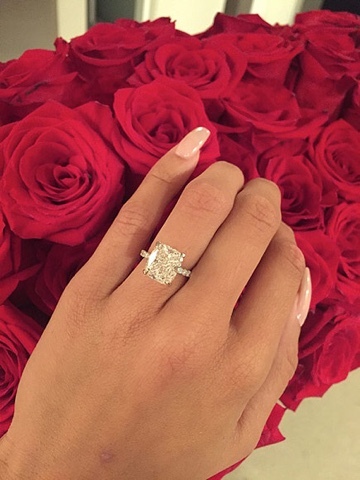 "Yesterday, the love of my life asked me to be his wife... I said YES!!! Love you @Oscandrick32 forever starts now"